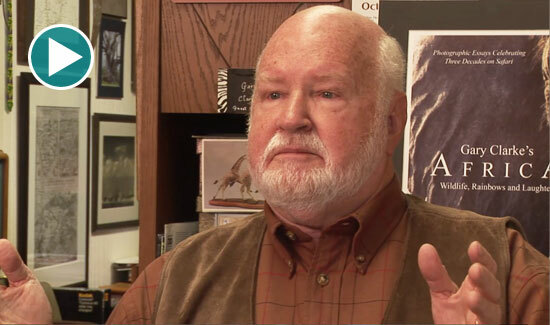 Gary Clarke, DIrector Emeritus of Topeka Zoo, shares his thoughts and insights into the history of zoos in this exclusive video. Gary’s first zoo job, in 1957, was as a zoo attendant at the Kansas City Zoo. Later he moved into the position of animal keeper. His experience with reptiles was advanced when he took a job with the Midwest Research Institute. In 1962 he moved to the Fort Worth Zoo where as curator he had the opportunity to meet Emily Hahn who was writing her book Animal Gardens. The zoo had some unique animals some like the pangolin were featured in Life Magazine. Topeka Zoo came calling and Gary became the director of the zoo in 1963 at the tender age of 24. When the American Association of Zoological Parks and Aquariums (AAZPA) broke away from the National Recreation & Park Association (NRPA) in 1971, Gary became the first president of the new association. When he retired from the zoo profession he turned to his second passion Africa. Gary has led over 100 safaris.